Built by the famous Italian shipyard Baglietto for the Prince Aga Khan in 1964, she also belonged to the French disco idol Claude François and had many stars on her deck. True representation of the “Dolce Vita” M/Y Betti Lazuri was purchased in 2010 by her current owner who completed a full refit within less than 2 years, having all the wood work, varnish, chromes and interior redone. He also installed 2 brand new engines: The power but economical C12 from Caterpillar, allowing this superb yacht to reach a top speed of 24knts, making her one of the fastest classic motor-yacht still afloat. The very practical swimming platform was also added then. 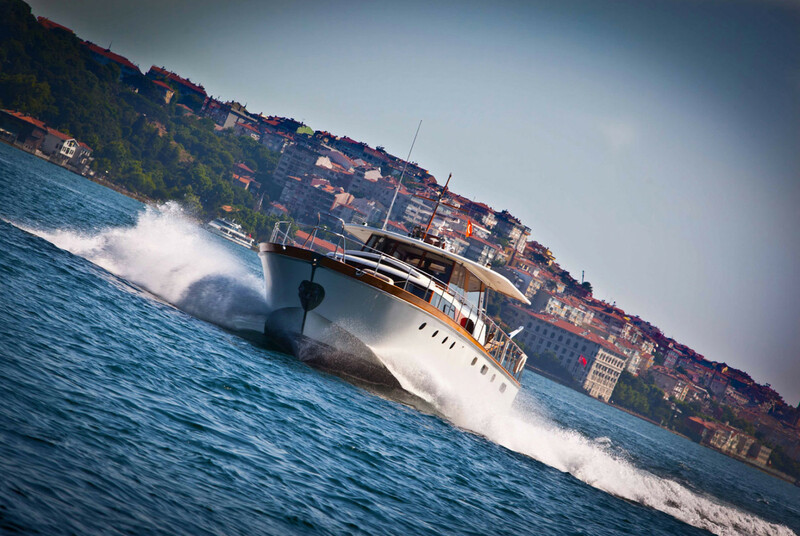 She is a unique Classic Yacht in immaculate condition, which must be sold a connoisseur. Should you need to receive any further information on Betti Lazuri , please do not hesitate to contact us.